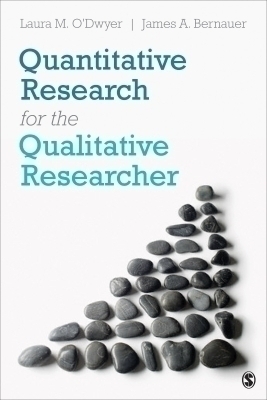 Quantitative Research for the Qualitative Researcher is a concise, supplemental text that provides qualitatively oriented students and researchers with the requisite skills for conducting quantitative research. Throughout the book, authors Laura M. O’Dwyer and James A. Bernauer provide ample support and guidance to prepare readers both cognitively and attitudinally to conduct high quality research in the quantitative tradition. Highlighting the complementary nature of quantitative and qualitative research, they effectively explain the fundamental structure and purposes of design, measurement, and statistics within the framework of a research report, (including a dissertation). The text encourages the reader to see quantitative methodology for what it is?a process for systematically discovering new knowledge that can help describe, explain, and predict the world around us.